The fact that it's an Alfa Romeo guarantees appeal by the people you are sharing the road with. My particular model is the Dynamique (Later named the QV)and is the most powerful of the range. 125kw in a car this small is enough to keep any driver's hands full. The car comes standard with the DNA driving system and allows the car to be easily drivable in Normal and when you feel like giving it beans,the Dynamic mode gives you all the power with sharpened throttle response and steering. The carbon interior finish in most of the models is love or hate, but I think it is suited to the sporty nature of the car. The Mito also seems to have done away with reliability issues from Alfas of old, partly thanks to the Fiat Punto base it is built on. My car is a 2009 model and I have not had any mechanical or electronic pains at all. 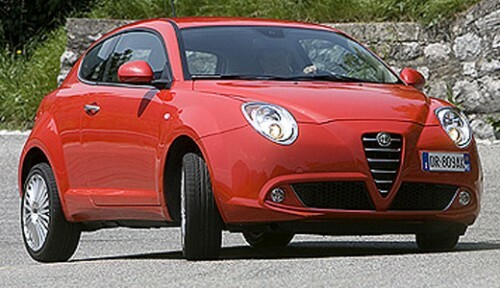 It is an Alfa Romeo, so don’t expect German build quality. Some panels inside are a bit flimsy, especialy the inside door handles. Feature-wise, it is not as well spec’d as the alternative Audi A1 or Mini Cooper. eg Climate Control is not standard and is a shame if you are paying this much.